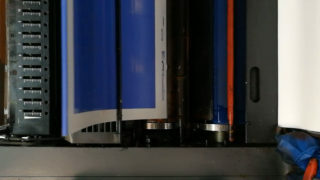 While most major commercial offset printers own expensive machines capable of producing ultra large format posters, many smaller presses can print no bigger than 50 × 70 cm at one time. 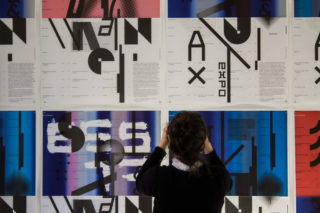 In order to offer the larger dimensions demanded by their clients, these smaller local printers have developed a technique whereby the upper and lower halves of a poster are printed independently using separate plates. 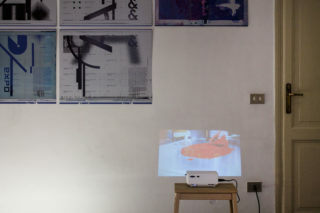 Naturally the two plates must be skillfully aligned if the join between sections is to be imperceptible to viewers. 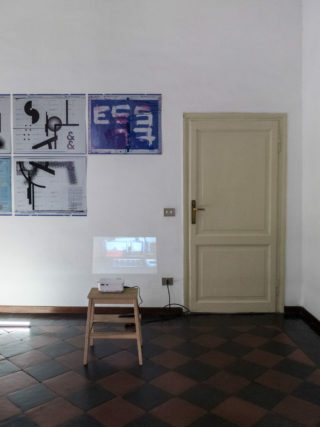 This project comprises of a series of posters produced in the above manner. 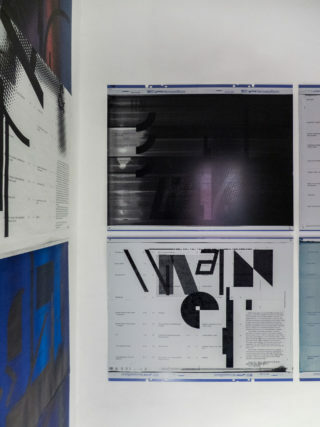 The posters began life as a stock of 70 × 100 cm carbonless copy paper and seven discarded 50 × 70 cm printing plates — the latter originating from various commissions undertaken by Etaoin Shrdlu Studio between 2014 and 2017. 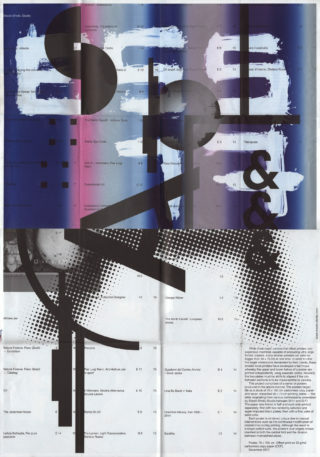 The paper was folded in half and each side printed separately: first with two randomly selected and super-imposed black plates; then with a final plate of solid color. 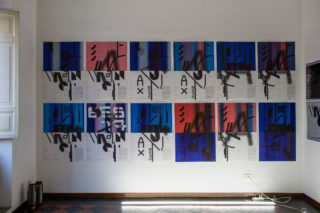 Each poster is rendered unique due to manual interventions such as the continuous modification of colored inks during printing. 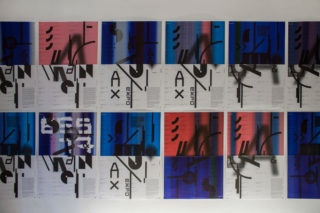 Although the result is a single unified work, the poster’s dual origins remain manifest in both the central fold and the division between mismatched plates. 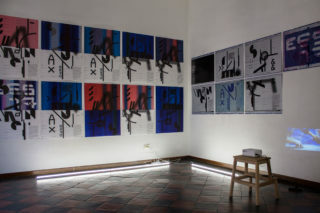 Poster, 70 × 100 cm. Offset print on 60 g/m2 carbonless copy paper (CCP). December 2017.